The Egyptian military government, which is still running the country in accordance with martial law “emergency rules,” on Monday released from custody Wael Ghonim, the young Google executive who played a role in organizing the January 25 demonstrations that kicked off Egypt’s current crisis. This is the meaty Part 2 of his post-release interview (click on “cc” at the bottom if you don’t see English subtitles, and they will appear). Ghonim consistently called for non-violent methods, becoming Egypt’s Google Gandhi (an epithet he would hate, since he urged that he not be lionized and that people think instead about the some 300 protesters shot dead by the regime in the past week). His grief over those deaths drove him to end the interview in tears. 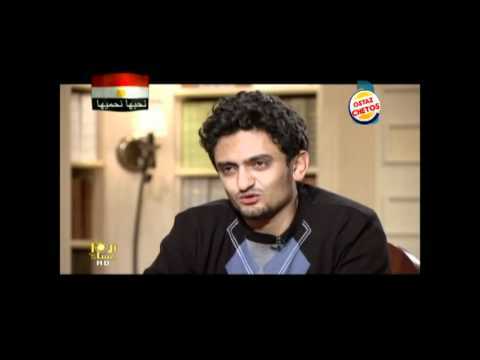 Ghonim’s assertion that the deaths were not his or the protest movement’s fault is certainly correct. I advise against watching this cold-blooded execution by armed and armored police of an unarmed, non-threatening protester, but it does show the kind of vicious brutality that the protesters are up against.